I love doing some baking on the weekends. Trying out new recipes is always fun and eating the end results is even better. Sunday was upon us and it was time to get in the kitchen and bake. I picked out a Marble cake recipe I found on Pinterest. I haven’t made a Marble cake in ages. There were so many different styles of recipes to choose from. Best eaten on the day it was baked. Preheat oven to 150°C fan forced/ 170°C. Line a large cake pan with baking paper. In a small bowl, add the hot water, coffee powder, cocoa powder and 3 tlbs sugar and mix until smooth with no lumps. Set aside to cool. In a mixing bowl add the butter and beat it until smooth. Gradually add the sugar and continue to beat until combined. Next add the vanilla essence and beat until light in colour. Then add the sifted flour, baking powder and salt, mix until combined. Divide the mixture up into 3 bowls. 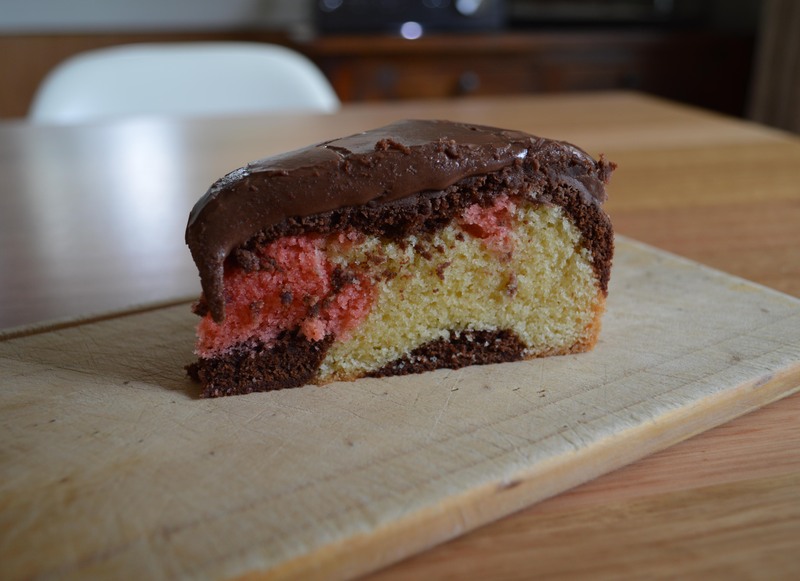 Add red food colouring to one of the cake batters and mix until combined. Then add the cocoa mixture to one of the other cake batters and mix well. 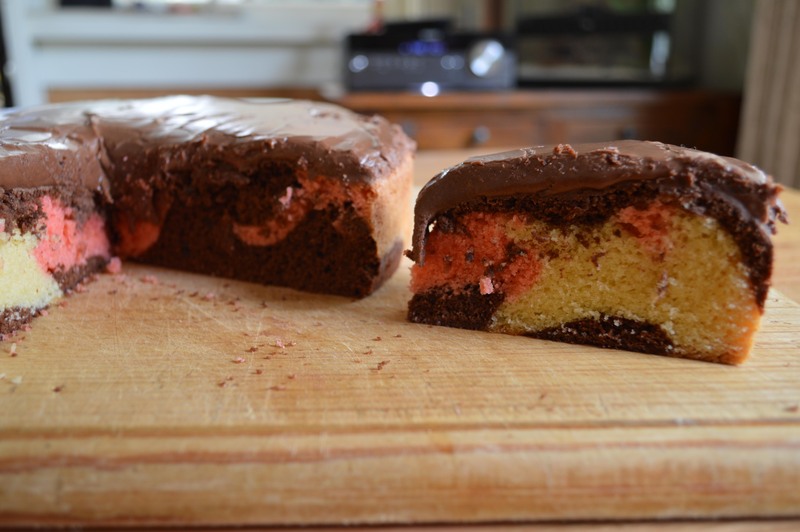 You can then add the plain, chocolate and pink cake batter randomly into the cake pan. Then you can swirl the mixture with a knife or spoon. Bake in the oven for 45 to 55 mins. Check with a cake skewer to see if it's done. Remove for the oven and cool in the pan for 5 mins. Then cool completely on a cake rack. 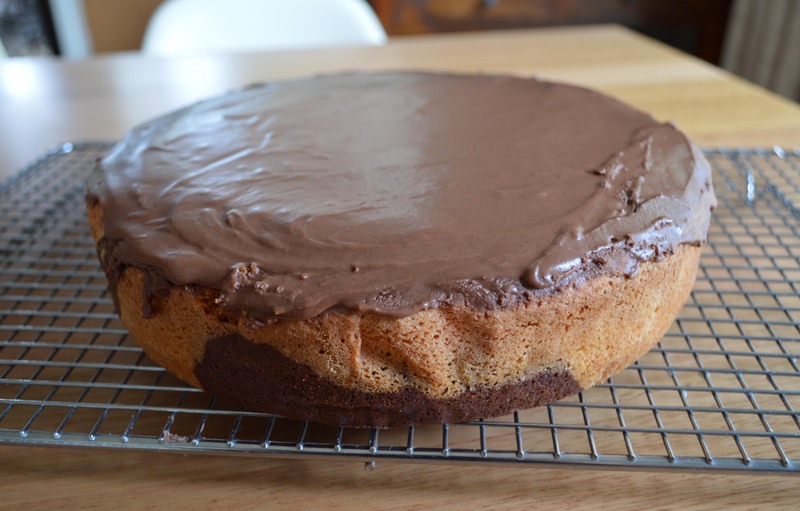 We iced the cake with just a chocolate icing. I don't have the exact measurements as I just mix it together and go by feel. 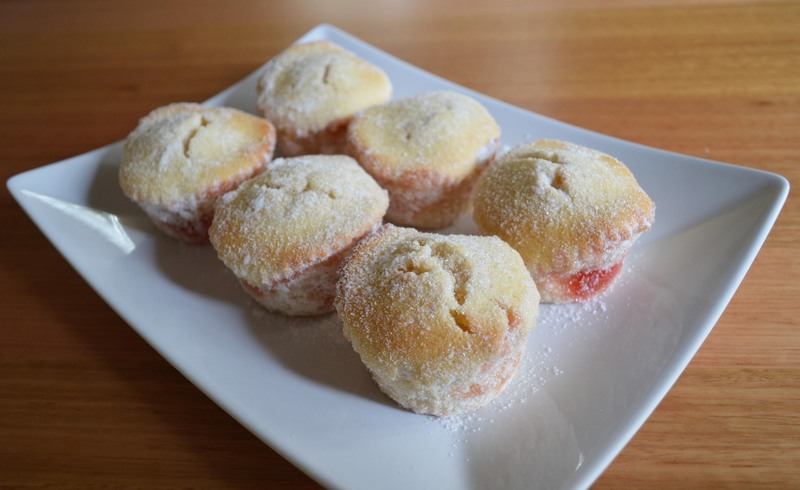 The ingredients I used was icing sugar, cocoa, butter and milk. The recipe I used was okay but I found that the cake was only a one dayer cake. One dayer meaning best eaten on the day of being baked. It was really nice on the day but I had a piece this morning and felt it was a bit dry. I ended up putting it in the microwave for 10 secs and that made it better to eat. 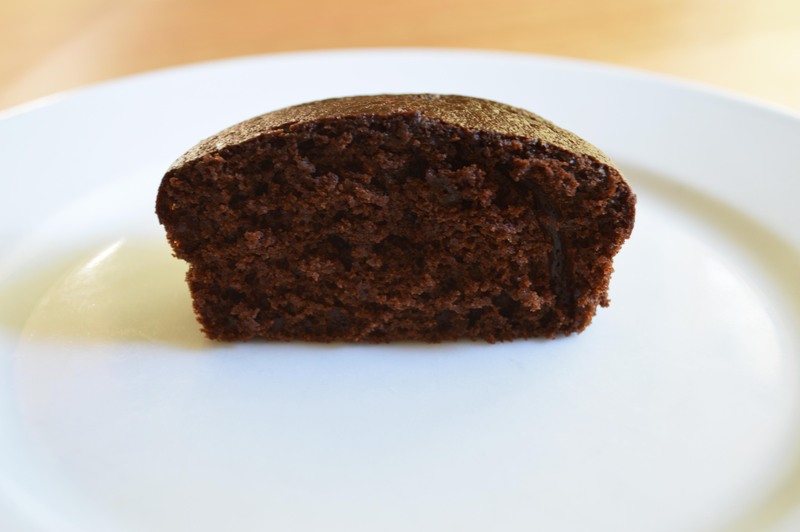 The cake has a small amount of instant coffee in it and the kids said that they could taste it. I could taste a slight hint of coffee which was nice but I might omit that next time and see if it makes a taste difference. Some of the kids didn’t like that you could taste the coffee. If I make this recipe again, I would definitely do some changes. 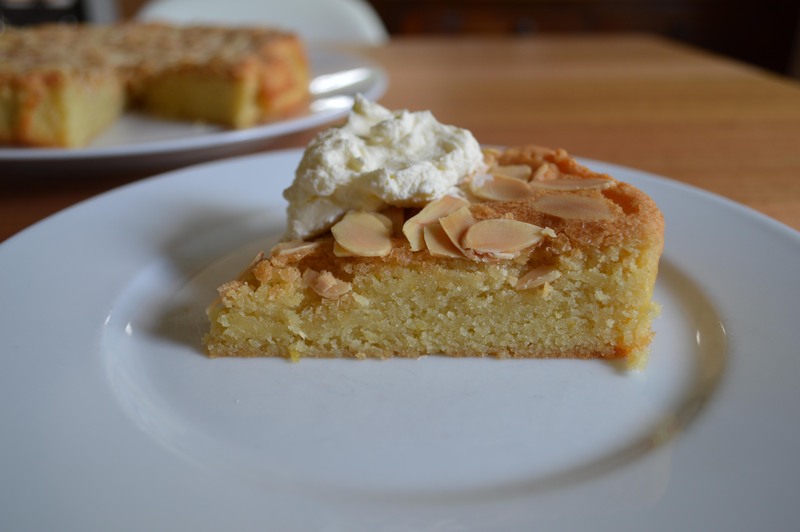 Now this Almond Cake is our favourite recipe at the moment. My hubby and kids requested that I make this again. 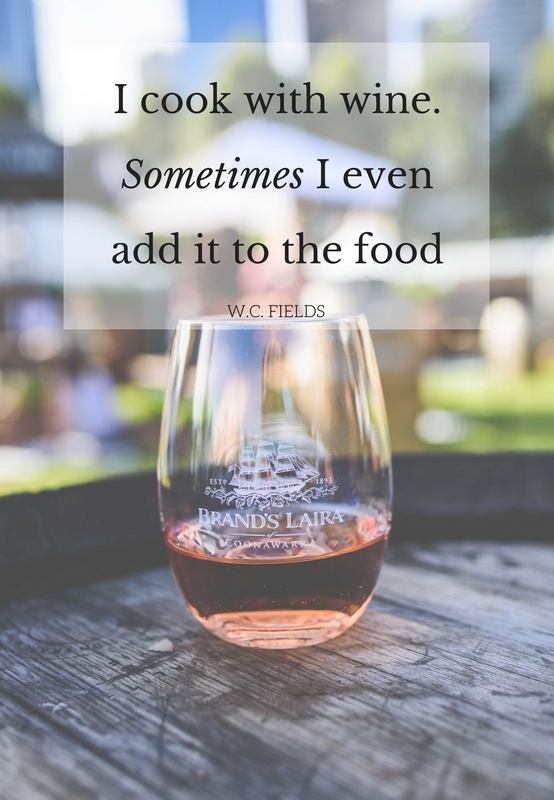 It is an easy recipe to follow and quick to mix together. Line a 9 inch cake pan with baking paper. In mixing bowl, add vanilla sugar and finely grated lemon zest . Add eggs, one at a time and mix. Mix in the flour and melted butter until combined. 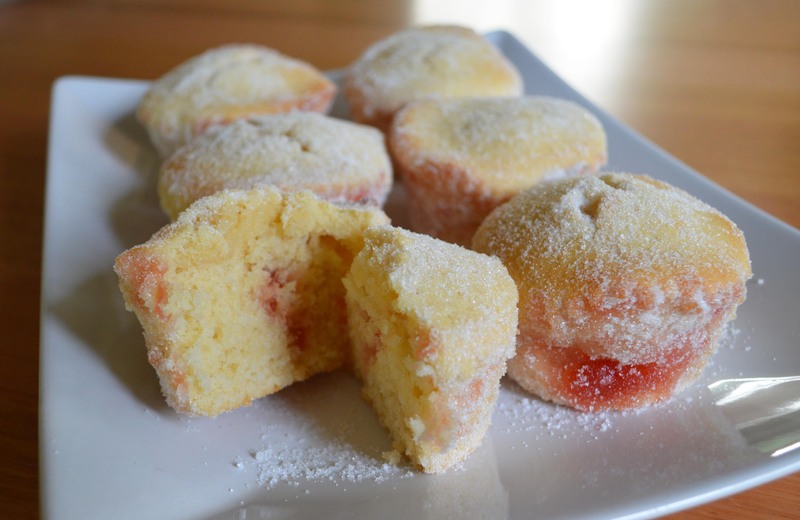 Sprinkle raw sugar and almonds on top. Bake in oven for about 25 minutes or until lightly brown on top. Remove from oven, cool several minutes before taking out and transfer to a cake rack. You can eat it warm or at room temperature. 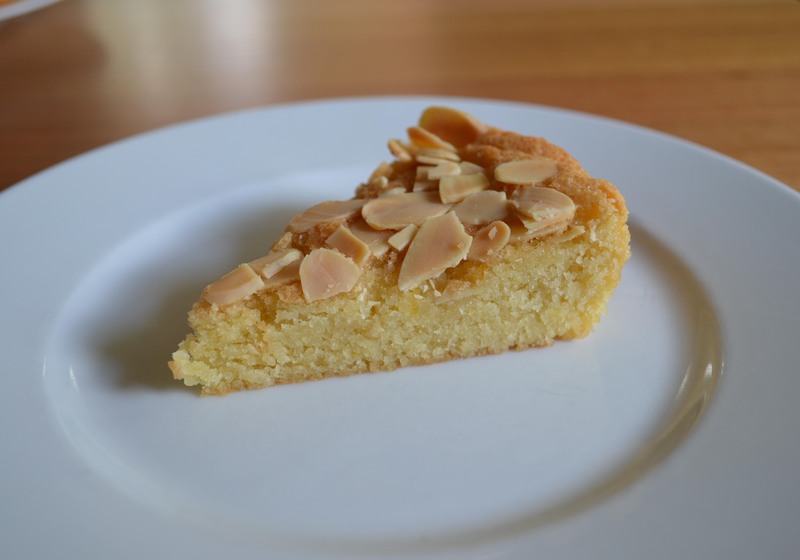 The Almond cake we find is a perfect accompaniment to our afternoon cup of coffee. It has a great texture and is not too sweet. 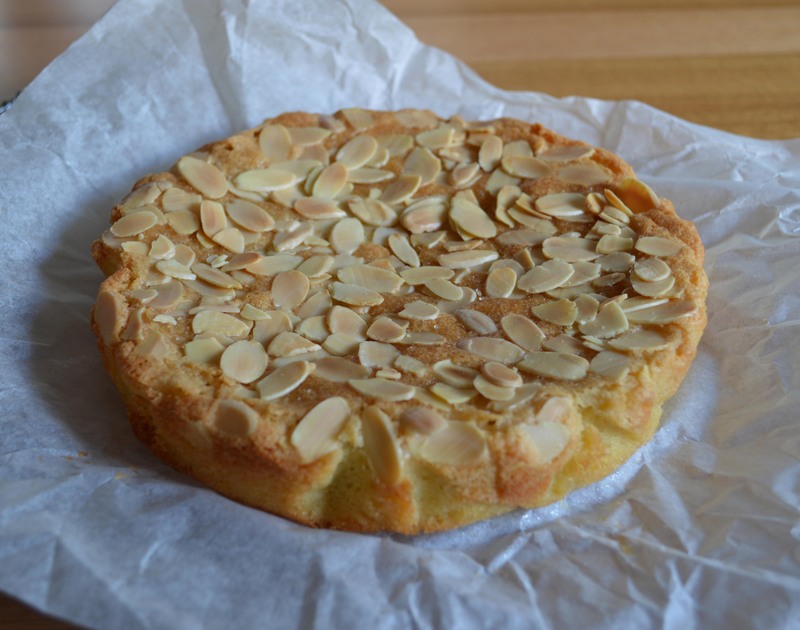 The last time I made it, I thought the kids wouldn’t like it because it had the almonds on top but I was surprised, they really like it. When the kids request that I make a cake again, I know that it has their tick of approval! Happy baking! I try and bake what I can for the kids lunch boxes. I prefer giving them homemade goodies rather than the store bought packaged snacks. If I end up running out of baking time during the day, I will bake them something at night. Once we have had dinner and washing the kids down is done, I will head into the kitchen and make something. I try to pick out a recipe that is not too involved and is simple, easy and has a quick cooking time. 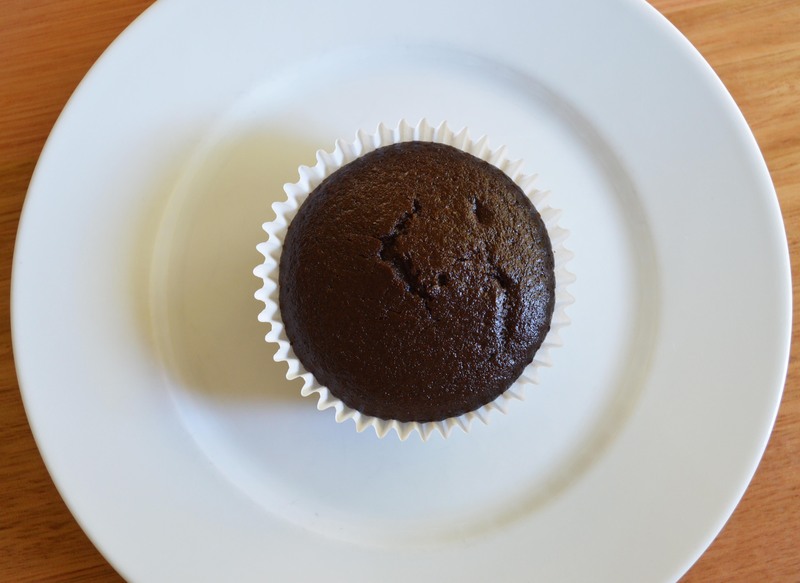 I jumped on Google and found these simple Chocolate cupcake recipe. I didn’t have enough butter so these were perfect as they have oil in them instead. I cut back on the sugar quantity and didn’t add any icing. I don’t like adding icing to the kid’s snacks when I cook them for the lunch boxes. The less sugar the better. And it saves me wiping out their lunch boxes! Add flour, sugar, cocoa, baking powder, baking soda, salt and coffee powder to a mixing bowl. Mix with together with a spoon or use a mixer. Add milk, vegetable oil, egg and vanilla essence to flour mixture and mix until combined. Slowly add the boiling water and carefully mix until combined. The mixture will be runny. Fill up cupcake liners evenly. Place in the oven and bake for 12-15 minutes. Test with a cake skewer, it should come out clean. Once cooked remove from the oven and allow to cool completely on a cake rack. You can put icing on them if you wish but I left them plain. Better for the lunch boxes. Linking up with Chantille Fleur for Tea Party Tuesdays!